Exclusions are abundant in general liability policies and may make the insurance useless for your contracting business. To obtain quality CPL coverage, use the expertise of wholesale environmental insurance brokers. Today restoration contractors and insurance agents are sitting at the f the plaintiff’s lawyers target list. Active risk management including risk avoidance and properly writing CPL insurance will allow restoration contractors to participate in this potentially lucrative business sector without risking all their personal and corporate assets on a daily basis. 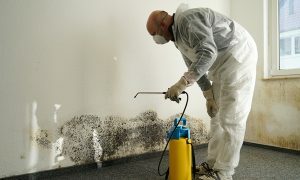 Restoration contractors are well advised to seek out expert risk management advice and assistance in finding appropriate CPL Insurance to effectively manage the new risks associated with mold.